Taboo poo transplant: A simple live saving procedure? 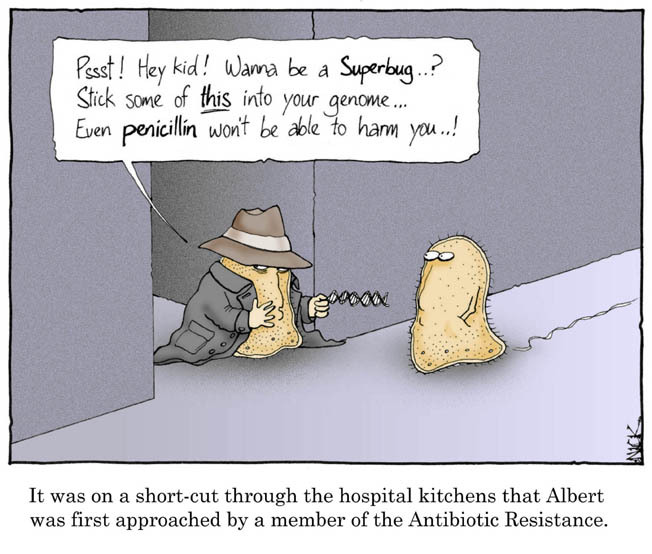 Taboo transplant: How new poo defeats superbugs – health – 21 December 2010 – New Scientist. AS SOON as Alex Khoruts set eyes on the 89-year-old patient, he realised the outlook was grim. Racked with fever and delirium, the woman was convinced she was living with her long-dead parents. A sky-high white blood cell count showed her body was battling to stave off a possibly fatal infection. A colonoscopy quickly laid bare the problem. Parts of the woman’s large intestine had become severely septic and were so tightly constricted the probe could barely pass through it. For Khoruts, a gastroenterologist at the University of Minnesota Medical School in Minneapolis, the next step was clear. He called the woman’s son – not as you might think to allow the pair a few last moments together, but to get hold of a sample of the man’s faeces. Khoruts is one of a handful of doctors around the world who perform what’s known as a faecal transplant. Within 24 hours of receiving an infusion of her son’s faeces into her colon, the woman’s white blood cell count had plummeted, her fever had abated and her mental composure had returned. “It was a very dramatic change,” says Khoruts. It was not the first success story, either. Surgeons at the University of Colorado Medical School in Denver performed the first faecal transplants in 1958, on four patients whose infected colons and incessant diarrhoea had failed to respond to conventional treatment. They all recovered within 48 hours. But although some 200 sporadic case studies have since been published, the procedure has remained on the medical fringes. A consequence is that doctors still don’t fully appreciate what goes into making the material we defecate, says Khoruts. “For all practical purposes, it’s just poop. We are hardly any more educated about it than an adolescent boy in middle school.” Slowly, though, this attitude is changing, not least because of the relentless toll in western hospitals exacted by Clostridium difficile. This deadly superbug invades colons in which the resident microbial ecosystem has been compromised. And a complex ecosystem it is. “Poo is a zoo,” says gastroenterologist Thomas Borody of the Centre for Digestive Diseases in Five Dock, New South Wales, Australia. A menagerie of possibly 25,000 subspecies of bacteria feeds off the matter that passes through our digestive systems. Taken together, they make up a gigantic, interconnected system of cells that some biologists are coming to consider as an organ in its own right – in terms of the number of cells it contains, the largest in the human body. “It’s the equivalent of nine human beings compacted, without the connective tissue, into the colon”, says Borody. Prolonged use of antibiotics can wreak havoc with this huge and complex ecosystem, creating niches in which C. difficile can take over. The bug is resistant to all but a few extremely powerful antibiotics, and once a course of treatment is over it will simply return to recolonise a compromised gut. Advocates of faecal transplants insist that it needn’t be that way. By restoring the bacterial flora of the colon to something like their native state, donated faeces can stop C. difficile in its tracks, they say, either by crowding out the intruder or producing toxins that kill it. Where can I find this treatment in the UK?